Latest 787 Glitch: What Happens When The Wrong Extinguisher Is Fired? 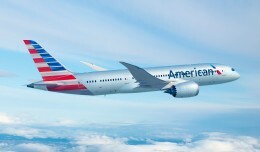 On Wednesday, reports started to trickle in that The Boeing 787 Dreamliner had yet another glitch that airlines needed to sort out. No, it was not related to the lithium-ion batteries again, but something you will find on just about any aircraft in the air. ANA discovered faulty wiring in three of their 787s, resulting in a condition where the wrong engine fire extinguisher would be activated in the event of a fire in one of the two engines. After discovering the faulty wiring, ANA took the three aircraft out of service for repairs, returning them to service shortly thereafter. 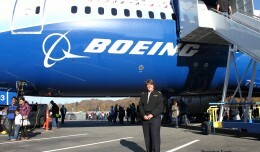 Other airlines inspected their 787 fleet as well, but did not find the same fault. A mid-flight engine fire is a serious matter, and when suppression measures are being undertaken by the crew, every second counts. So, what would happen if one of these three 787s actually had an engine fire in-flight, and the extinguishers fired into the wrong engine? 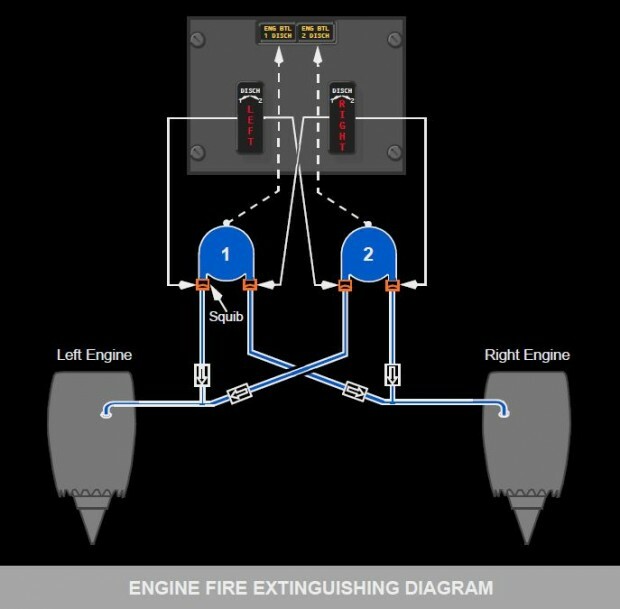 When the engine fire switch is activated, a series of important functions are automatically initiated. All feeds to the engine are cut off, including hydraulic fluid, oil, and fuel. This helps to cut off any additional combustible materials from reaching the engine. Additionally, each aircraft is equipped with two fire extinguishers, either of which can be discharged into either engine. This is where the new issue seems to have been be on the 787. In our hypothetical, our 787 is on an ETOPS flight over the ocean when the pilots receive a fire warning for the number 1 engine. 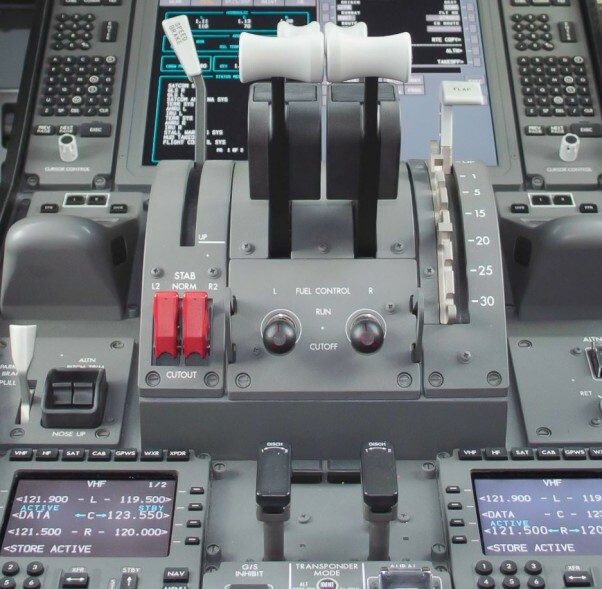 The fire bell sounds, master WARNING lights illuminate, an EICAS message appears indicating which engine is in trouble, the corresponding engine fire switch illuminates and unlocks, and the fuel control switch illuminates. A lot of information is presented to inform the pilots which engine has a potential fire, and which switches to activate. From all indications, when the pilot pulls the fire handle, the hydraulic fluid, oil, and fuel would be cut off from the troubled number 1 engine. Conversely, the extinguisher would actually fire into the number 2 engine, which did not have any mechanical issues at the time. Once discharged, a EICAS message would appear, reading ENG BTL DISCH, along with the corresponding engine. What we do not know is whether or not the computer realizes the error, and shows that engine number 2 was doused, or number 1. 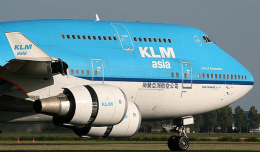 If the computer reads that the troubled engine number 1 was activated, when in reality number 2 was, the pilots might very well fire the second extinguisher, which would again discharge into engine 2, not 1. At this point, the extinguisher has been discharged into engine 2, the working engine, twice. Although there may be some damage to the engine in the long run, discharging an extinguisher into a functioning engine does not immediately limit its ability to preform. Extinguishers are actually discharged into the cowling of the engine, and not the core. While the number 2 engine would continue to function, there may still be a fire in the number 1 engine, with no additional extinguisher bottles to put it out. That is a serious situation for our hypothetical flight, which is still hours from the nearest airport. Unable to extinguish the fire in the number 1 engine, the pilots are left with few options. With all ignition sources cut off, the pilots must simply hope that the fire burns out and does not spread beyond the engine. This situation is far from ideal, but not unthinkable. 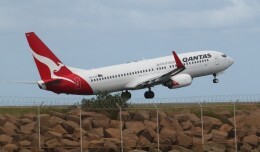 When Qantas flight 32, an Airbus A380, suffered an uncontained engines failure, the pilots attempted to discharge extinguishers into the engine, but all attempts failed. 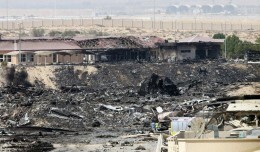 The fire did not spread beyond the engine, and the flight landed safely. Glitches in critical safety systems are never good. This glitch seems to have been sorted out before it became a problem in operation, and yet another lesson was learned in the 787 program.